After a great breakfast, we eventually set out for Crieff. Now, Crieff would not normally be on the route from John o’Groats to Land’s End, in fact it took us considerably out of our way, in a sense. But our adventure was never about finding the quickest or the most direct route, it was about going places we wanted to go, seeing people we wanted to see as we traversed the length of this island. 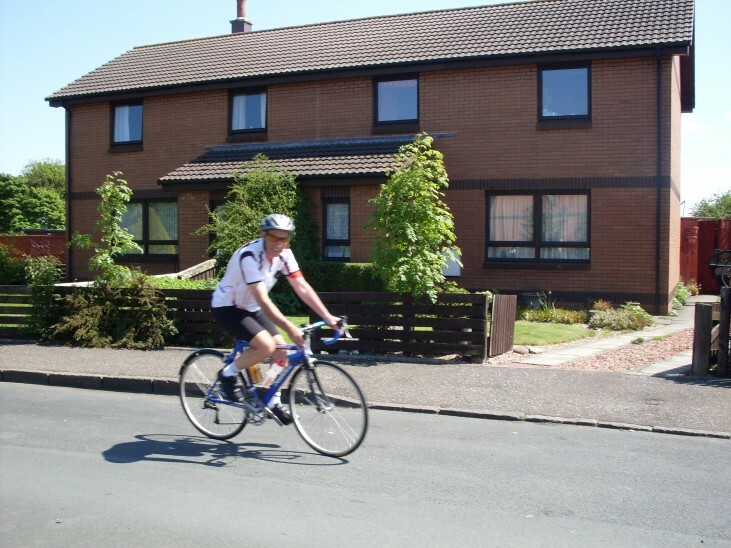 Sustrans.org is a charity and they have some funding from the government. I really don’t want to be too critical here of what they are trying to do, but in many parts of Scotland, they just don’t have enough funding to do what needs to be done. It’s great that the people concerned want to keep cyclists off the busy main roads to keep them safe, and some of the recommended routes are very scenic but…and it’s a big BUT…the alternative routes are incredibly challenging sometimes. After cycling this particular part of the Sustrans route today, Gus said that it felt as though it was chosen by people who have the aim of keeping cyclists off the main roads and giving them the most difficult alternative route possible. He knows it isn’t deliberate: they are only directing cyclists to the routes that are available, but…hills!! Talk about hills!! The first part, to Logierait was a real killer. Up hill and down dale getting occasional glimpses of the dead-flat A9 every few minutes! Ask him if he enjoyed it! Logierait, Scottish Gaelic: Lag an Ratha – ‘Hollow of the [Earth-Walled] Fort/Enclosure’, is a village and parish in Atholl, Perth and Kinross. 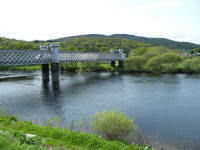 In days gone by, Logierait held a place of strategic importance, situated as it was at the junction of the Rivers Tay and Tummel, with ferries over both rivers. From ancient times its situation beside the great highway from Perth to the north (0.5 kilometres (0.31 mi) west of the modern A9 road) helped to increase its importance. In 1791 its population was recorded as 200 people, today there are about 60. For such a tiny village, it has a couple of big claims to fame. It was the birthplace of the sociologist Adam Ferguson (1723–1816), and the Canadian politicians John McIntosh (1796–1853) and Alexander Mackenzie (1822–1892), Canada’s second Prime Minister. The early ferries were rowed across by the ferryman but in 1820 the artist and inventor James Fraser who was the millwright at Dowally (about 2 miles south from Logierait as the bird flies) designed the new Logierait ferry. The particular problem with the ferry crossing at this spot was the swift flow of the River Tay and the ferry had to cope with this flow. The design consisted of two boats placed side by side connected by a platform. The ferry had a revolving wheel on the boat that pulled the ferry along a chain. The ferry was capable of carrying two loaded carts with the horses yoked up. It is said not a single life was lost during it operation until it was replaced by a bridge in 1880. After Logierait, it was onto the B898, also Sustrans recommended, also more hilly than the A9. Both were scenically terrific roads and I enjoyed them immensely, apart from wincing every time I came to yet another steep climb. I suspect Gus did more than wince. And so to Dunkeld. From Dunkeld, we took the A822, still more of the same fabulous scenery but not so much of the ups and downs. And so to Crieff, where we had the pleasure of being with family again. When I arrived, Elizabeth was busy hairdressing-from-home: there’s to be a wedding in Crieff on Saturday and everyone seems to want our Liz to do their hair in preparation. 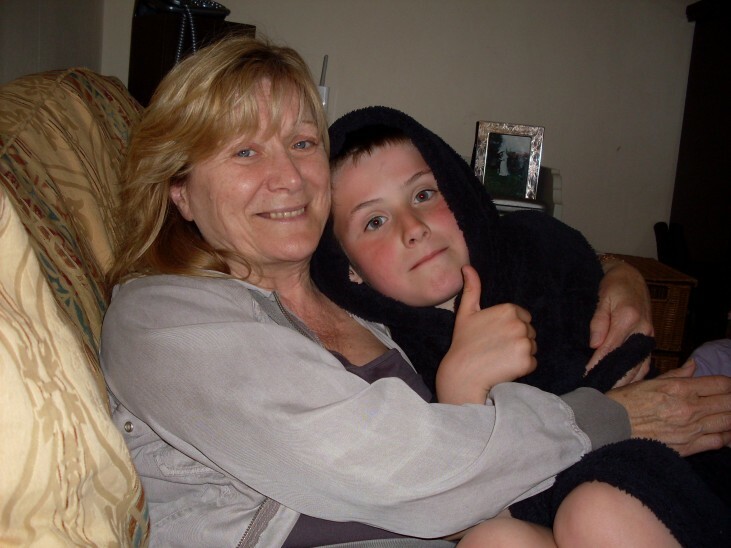 It was great to get spending a bit of time with the kids… that may sound funny considering that we’d all just spent a week up in Embo together… but the kids have far too much fun in Embo to spend much time with old wrinklies like us. Annie was sleeping by the time we arrived, but we enjoyed our bedtime cuddles from Cassie and Kurt. 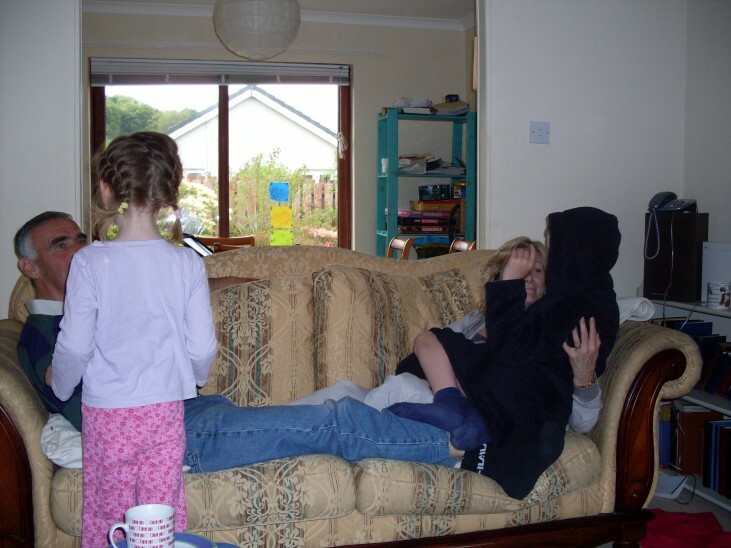 Kurt even let me test out how cuddly his dressing gown is. And I was surprised and delighted how comfortable the double airbed on the floor is. Thank you, Liz and Stuart, for looking after us so well. We had a great sleep-over. Crieff (Scottish Gaelic: Craoibh, meaning “tree”) is a market town in Perth and Kinross, its tourism trading mainly on its whisky and cattle droving history. In 1790 the population of Crieff was about 1,200 which led to a ratio of tens cows per person, similar to the sheep/human ratio in New Zealand. 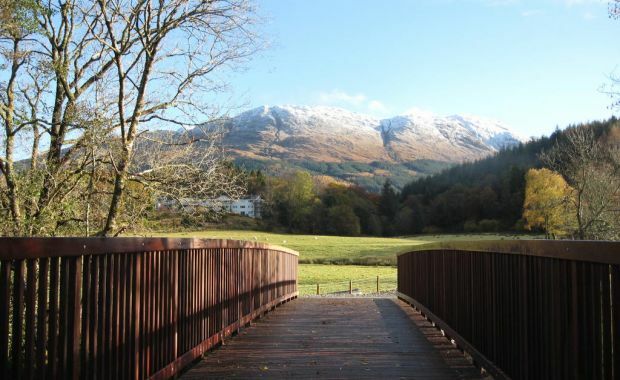 The infamous Rob Roy MacGregor visited Crieff on many occasions, often to sell cattle. Another of Crieff’s famous sons, is the actor and film star, Ewan McGregor. Can’t help wondering if they’re related, eh? Anyway, a keen motorcyclist since his youth, Ewan McGregor undertook a marathon international motorcycle trip in 2004. From mid-April to the end of July, he and his party travelled from London to New York via central Europe, Ukraine, Kazakhstan, Mongolia, Siberian Russia, Canada and USA on BMW R1150GS Adventure motorcycles, for a cumulative distance of 22,345 miles (35,960 km). Then, in 2007 they did another trip from John o’ Groats this time, just like us…except they were on motorcycles and went a bit farther: to Cape Town in South Africa. 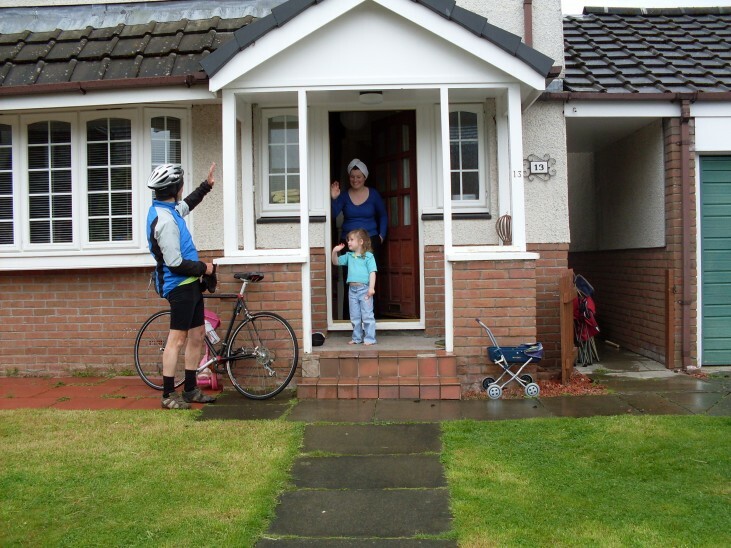 But they didn’t have the send off we did from Crieff, with the family turning out, Annie looking quite puzzled as she waved Grandpa off in the morning. Perhaps it was the funny hat. All the roads around Crieff are country roads, with plenty of twists and turns, hairpin bends, humped-backed bridges and ups and downs in general. It makes for interesting and varied cycling and driving. Never a dull moment. Not the kind of road you can ‘let loose on’ since you never know what’s coming round the next corner, and whose side of the road it might be on! The route Gus chose was the A822 from Crieff through Muthill, to Braco, a village of some five hundred or so people and fairly typical of the wee villages in this area. The ramparts and ditches of a Roman camp are still plainly visible at Ardoch Roman Fort just north of the village and the nearby Lodge Park is where you’ll find the Knaik or Knaick Bridge which dates from the 15th Century. Looking along the main road, as you can see, it’s not terribly busy: fine to cycle through. 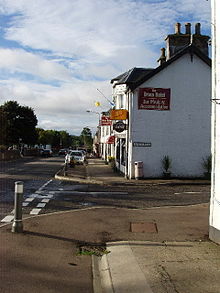 Then the B8033, a quiet, scenic little country road, through Kinbuck to Dunblane, a quiet little Cathedral town, where Andy Murray, the No1 British tennis player, currently No2 in the world rankings, attended Dunblane Primary School, and was present during the 1996 Dunblane school massacre,when on 13 March, a gunman, 43-year-old Thomas Hamilton, entered the school armed with four handguns, shooting and killing sixteen children and one adult before committing suicide. Murray took cover in a classroom and says he was too young to understand what was happening. He is reluctant to talk about it in interviews, and, really, who can blame him. The massacre remains one of the saddest and deadliest criminal acts involving firearms in the history of the United Kingdom. I never pass that way without getting a real lump in my throat and sick feeling in the pit of my stomach. So, through Dunblane, joining the A9 through Bridge of Allan, past the Wallace Monument, across the Forth at Cambuskenneth and then onto the A905 through Fallin where we met up for lunch. We went into a wee baker’s shop there and I resisted all kinds of lovely-looking cakes. Gus didn’t resist a bacon roll. Through Airth and through Grangemouth, with its fragrant oil refinery on the A904. 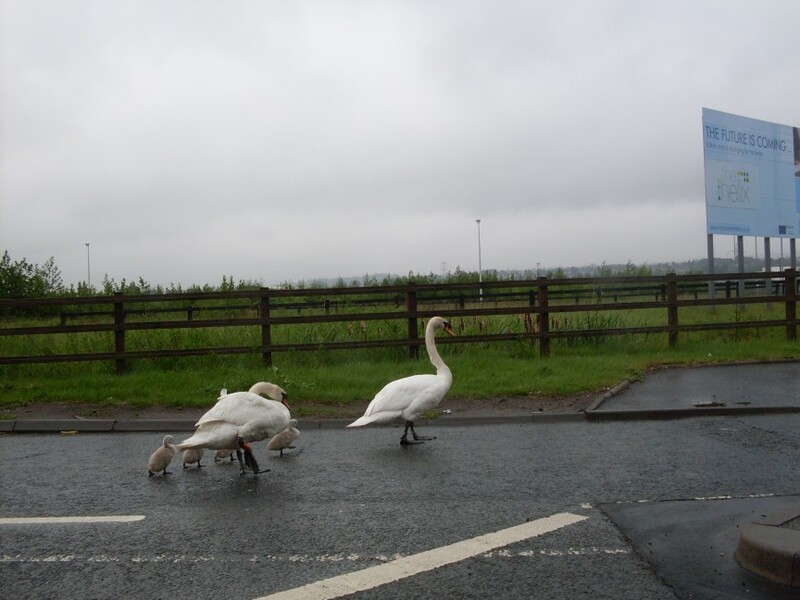 By which time, the family of swans were going back across the road where they’d come from already. My wrong turn was a happy detour. The agreed route then took me through Bo’ness where I stopped to visit my sister, Doris, who was visiting my niece, Fiona, her husband, Craig, and the kids, getting home to Newton in time to get the immersion heater on for Gus’ bath before he arrived home too… pretty well wet through and tired. 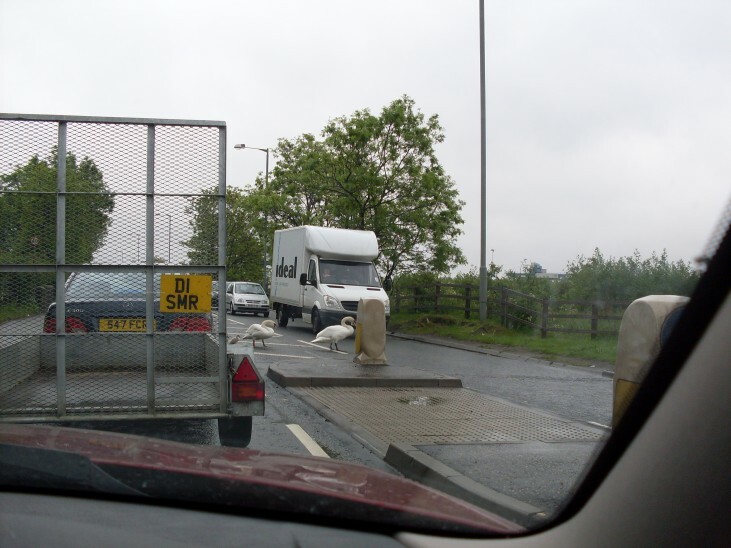 The latter half of the journey was not so picturesque, but rather more industrialised and boring. A bit of a slog for Gus today really. 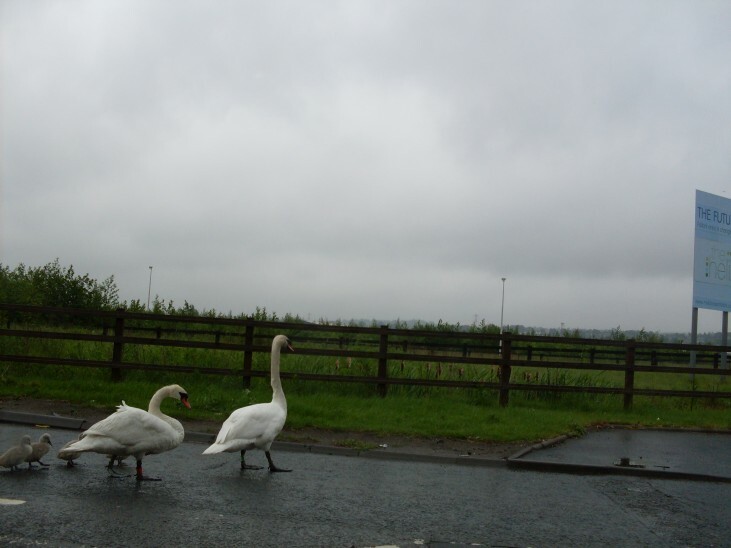 He didn’t get to watch my family of swans muck about with the traffic. Well, what can he expect if he doesn’t miss the turning! 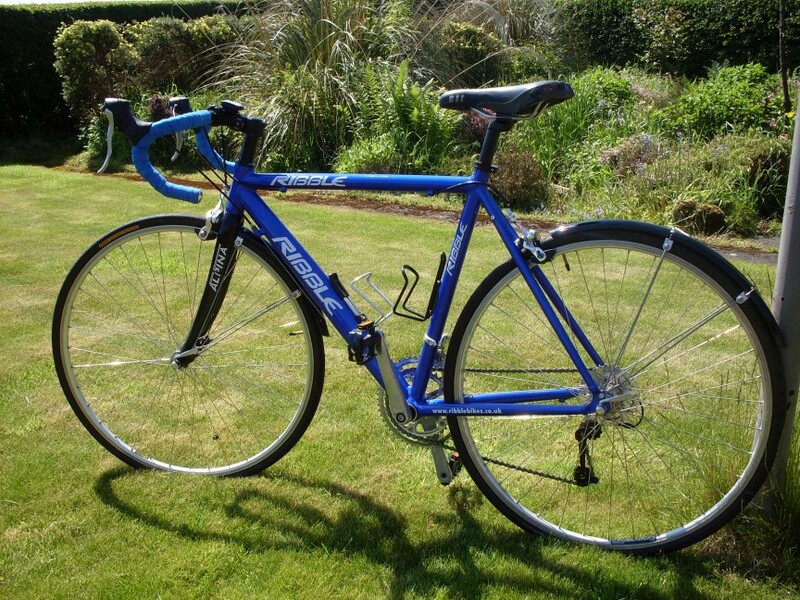 Kenny has put together a new road bike for Gus… a thing of beauty! What a boy! What a bike! After a couple of days rest, unpacking the car, catching up on washing, ironing and the like, we repacked the car, Gus climbed on his shiny new bike, and we were ready for the next stage of the expedition. I went across the road so that I could take this photo of him setting out from our house in Newton Village. I always feel it’s such a misnomer ‘Newton Village’ because it bears no resemblance to a town, new or otherwise, but is a small village in the county of West Lothian. It has a petrol station, a small shop, a pub, a post office and a population of under a hundred. 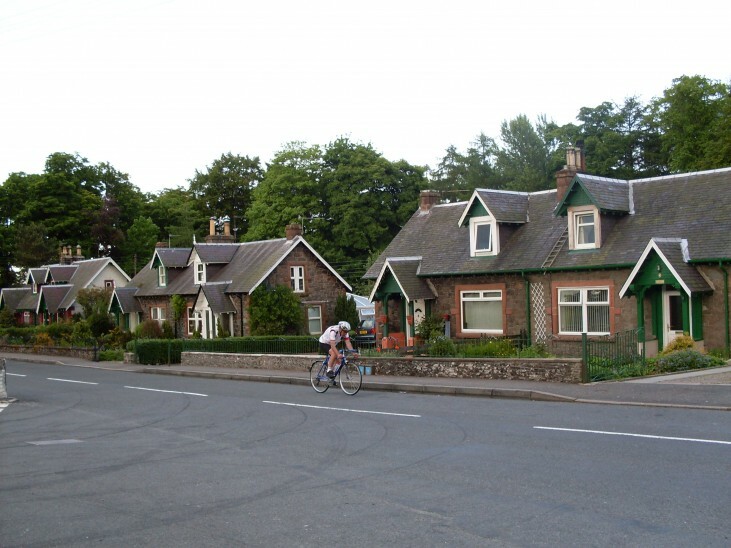 The original cottages, built around 1910 to house the miners from the nearby Duddingston shale mine, are still standing each side of the main street and we used to live in one of them. Some of the older residents of the village speak of a time when they used to be able to stretch a washing line across the main road for the women and children to skip in. The road is somewhat busier now and we eventually moved house to a newer and quieter one in the Crescent round behind it. The village lies about two and a half miles from The Forth Road Bridge going East, into the distance in this old photograph, which was taken long before the Road Bridge was built. About six miles in the other direction is Linlithgow, birthplace of Mary, Queen of Scots. 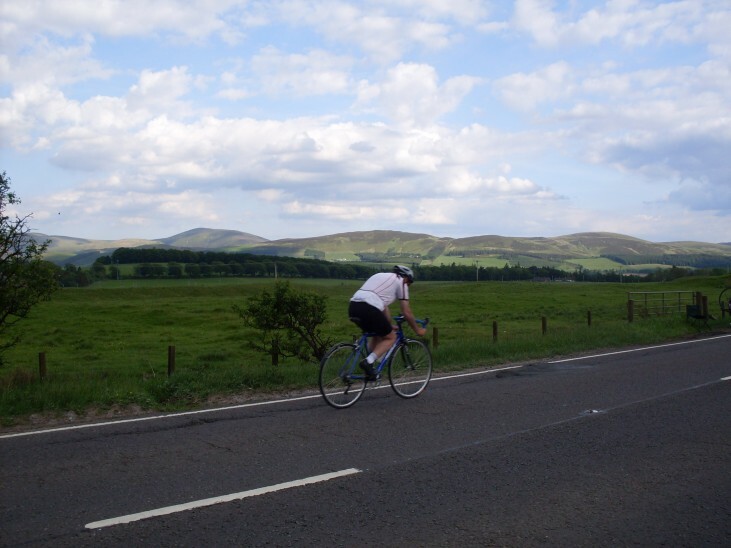 So Gus set out, on a beautiful summer’s day, riding along the main road that runs through our village, the Pentland Hills in the distance. He headed West to Woodend, then South West through Winchburgh, Broxburn, Almondell, Pumpherston… cumphy through Pumphy… to Lizzie Bryce roundabout in Livingston, up through West Calder on the A71. We bought a proper number plate for the bike rack in West Calder, keeping us legal, then on to Forth on the A704 where we met up again for lunch. Through Carstairs, “passing the only people who don’t think I’m mad, on this trip,” says Gus. 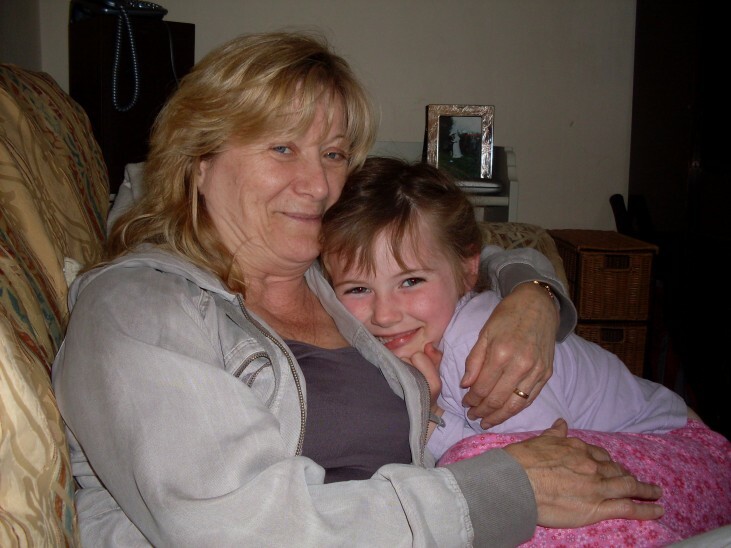 Carstairs has gained a certain notoriety as the location of the State Hospital for Scotland and Northern Ireland, a maximum-security psychiatric facility where some of Scotland and Northern Ireland’s most severe cases of mental illness are treated. Many of the patients have been convicted of serious offences and some are incarcerated at the facility indefinitely. Past Lanark onto the A73 to Abington, another small village, this time in South Lanarkshire. Its role as a gateway to Scotland is one Abington has fulfilled for two thousand years or more: today’s A702 follows the line of a road the Romans built from the River Clyde here in the West to their fort at Musselburgh on the East coast. Other evidence of ancient occupation comes from the hill forts overlooking this stretch of the Clyde Valley, and from the motte, the man-made mound where a castle once stood, and its bailey, its surrounding wall, nearby. We had been meeting up at various points in the day, for lunch and other snack breaks, and now we met up yet again and put the bike on the back of the car to drive to the nearby youth hostel in Wanlockhead, which, according to the sign, is… the highest village in Scotland and is in Dumfries and Galloway, nestling in the Lowther Hills one mile south of Leadhills at the head of the Mennock Pass, which forms part of the Southern Uplands. 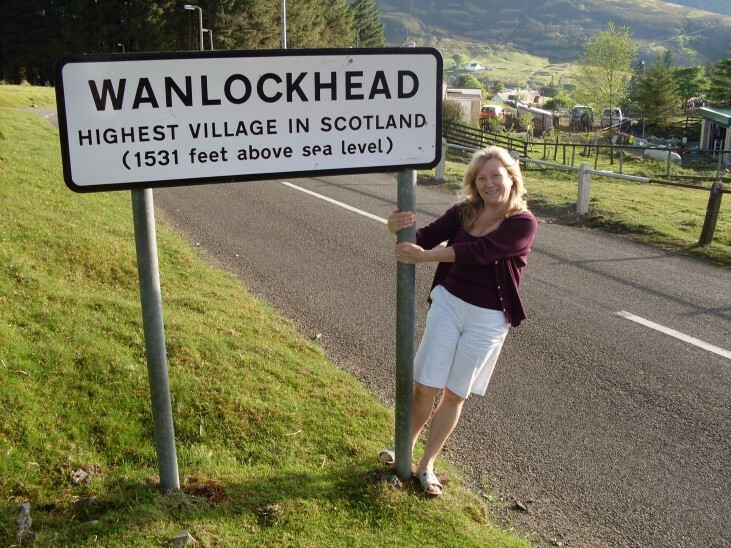 Apparently, the village was called Winlocke until 1566, from the Gaelic Cuingealach, meaning narrowness, or narrow place and owes its existence to the lead and other mineral deposits in the surrounding hills. These deposits were first exploited by the Romans, and from the 13th century they began to be worked again in the summer. The village was founded permanently in 1680 when the Duke of Buccleuch built a lead smelting plant and workers’ cottages. Lead, zinc, copper and silver were mined nearby, as well as some of the world’s purest gold at 22.8 carats, which was used to make the Scottish Crown. 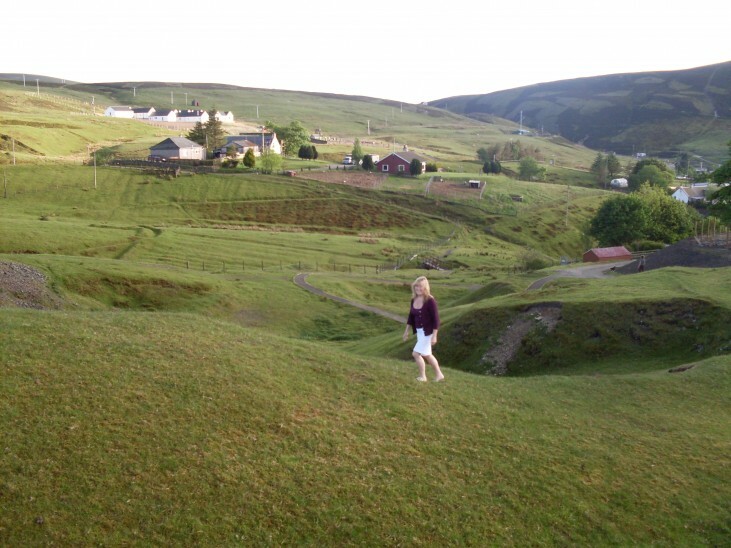 Wanlockhead became known as “God’s treasure house” from the richness of its mineral resources. And, being a mining village, it had all these funny little hilly ‘bings’. 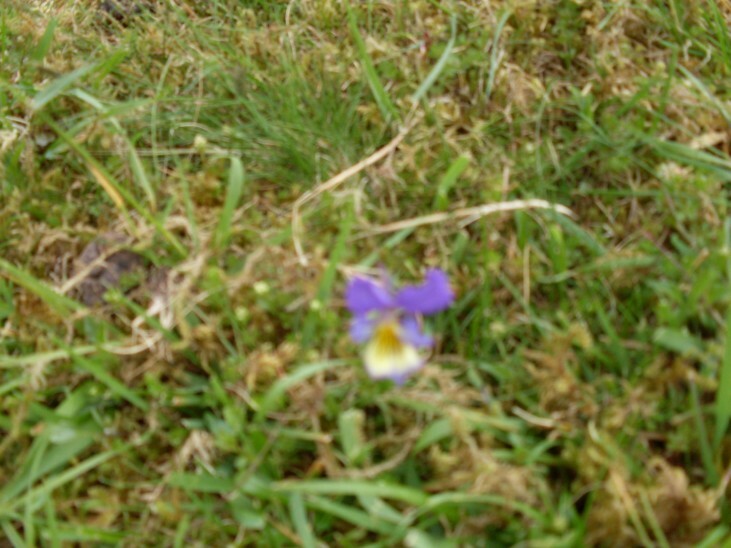 Not somewhere you’d necessarily expect to find such pretty little wild pansies. We spent a comfortable evening and had a good night’s sleep in the Wanlockhead Youth Hostel, though I’m not sure if it is still a hostel any more. Gus’ verdict on the new super-snazzy bike: superb! Makes everything so much easier.